After praising a weekend Trade deal with China earlier in the week, President Trump has now distanced himself from the "framework" between the two countries which has been widely panned by China hawks. 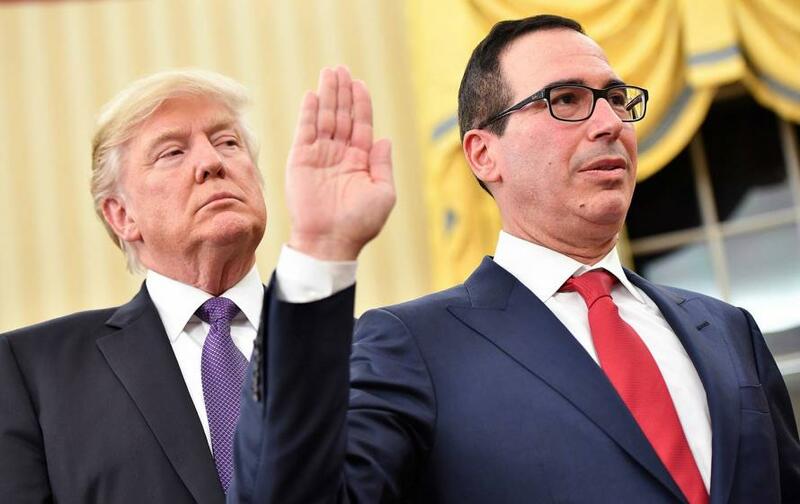 Treasury Secretary Steve Mnuchin has taken heavy criticism over a tarriff "truce" with Beijing, as well as an agreement which would reverse a recent ban on companies selling to Chinese telecom giant ZTE Corp.
“Our Trade Deal with China is moving along nicely, but in the end we will probably have to use a different structure in that this will be too hard to get done and to verify results after completion,” Trump said in a Wednesday tweet. Trump's about-face may not bode well for Mnuchin's tenure in the administration. Following last weekend's agreement, the Trump administration said it would back down from prior threats of new tariffs against China after the two nations agreed to “substantially” downsize the U.S. merchandise trade deficit, which hit a record $375 billion last year. In response, Beijing promised to “significantly” increase US purchases going forward - albeit with no dollar figure attached. The White House, however, gave assurances that China would cave to its demand for a $200 billion annual trade-gap reduction. The US has promised to remove a ban on US companies selling components to ZTE - imposed last month, purportedly because ZTE failed to fire certain employees and cut bonuses according to the terms of a settlement after it was caught selling US goods to Iran. While Mnuchin insisted Tuesday morning that there was no "quid pro quo" involved in the ZTE aspect of the negotiations, President Trump began to distance from the talks - stating on Wednesday that the US and China have yet to reach a deal on trade, and adding that he is "not pleased" with how the talks are progressing. While the talks with China were "a start", Trump said he's not yet satisfied. Trump now says that the U.S. may instead require that ZTE clean house - appointing a new board of directors and pay a "very large fine" potentially as high as $1.3 billion. 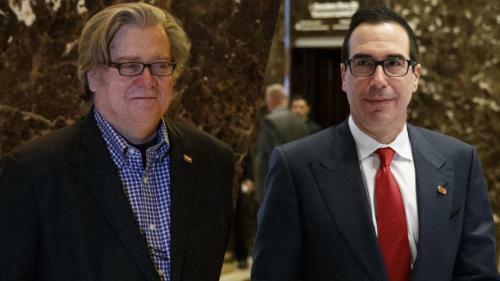 Former White House chief strategist Steve Bannon took Mnuchin to task on Monday over the weekend deal, telling Bloomberg that Trump "changed the dynamic regarding China, but in one weekend Secretary Mnuchin has given it away,' adding that Mnuchin "misses the central point" of the economic competition between the two nations. Marco Rubio (R-FL) also slammed the weekend deal, tweeting on Tuesday "Sadly #China is out-negotiating the administration & winning the trade talks right now. They have avoided tariffs & got a #ZTE deal without giving up anything meaningful in return by using N.Korea talks & agriculture issues as leverage." “Doesn’t make sense to have the Treasury secretary negotiating trade policy -- that’s the USTR’s job,” said former Nucor Corp. CEO Dan DiMicco told Bloomberg, which notes that DiMicco was an adviser to Trump’s campaign and presidential transition who now sits on an advisory committee for U.S. Trade Representative Robert Lighthizer. “We supported Trump in the elections, support a lot of the things he stands for, and we need him to come through on trade like he promised,” DiMicco said. As Bloomberg notes, "Mnuchin and White House economic adviser Larry Kudlow are free-trade supporters regarded as more conciliatory toward Beijing than Lighthizer and White House trade adviser Peter Navarro, the administration’s fiercest China hawk. Mnuchin said in an interview on CNBC Monday that he speaks with Lighthizer ten times a day and that he and the trade representative and Ross are “unified” on trade strategy."